See for yourself! 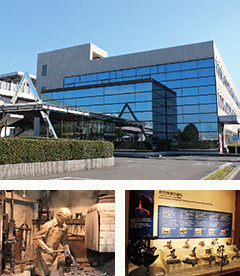 The advancements in forging technology and the history of the Ono-style forge Roles and history of forging works for automobile manufacturing and the progress of forging technology are shown through demonstrations and visuals. 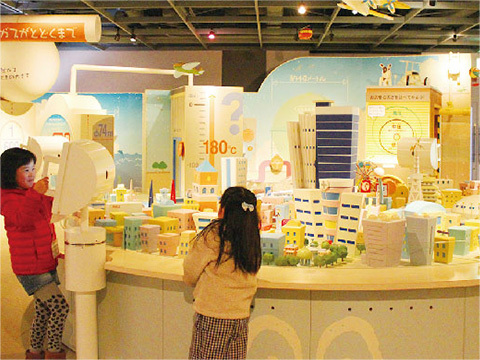 Ono-style forged products are displayed and a forging scene is reproduced in a diorama. Please make reservations at least 1 day ahead. 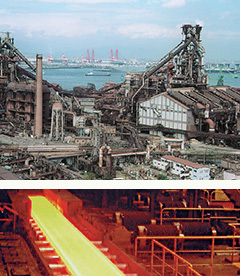 Watch as steel is transformed into a variety of products using the world’s most advanced technology! 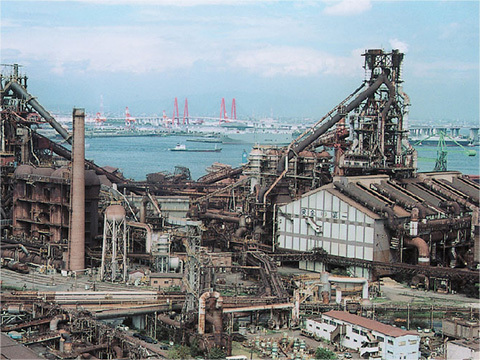 The company produces a multitude of steel products by melting iron ore in the only blast furnace in the Chubu area. Come and feel the real thrill of a factory. 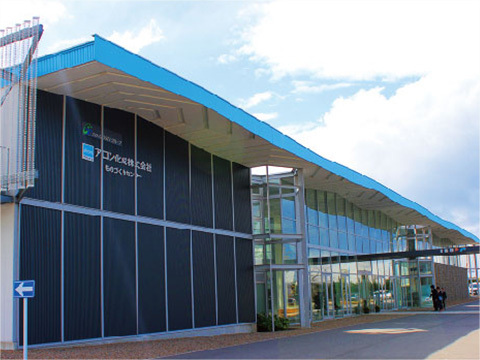 As one of the largest continuous production factories in the world, production here meets high standards and responds to diverse needs. 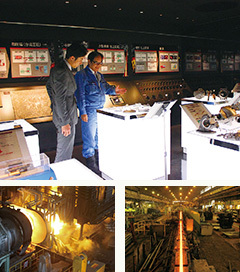 Visitors are taken on a tour of the special steel production processes from melting raw material and continuous forging to rolling and inspection. 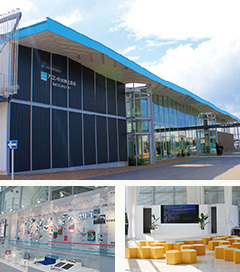 Come and see the grand scale of the factory. Let’s think about global warming and energy!See, feel, have fun learning about the relationship between the environment and energy in the Exhibit Hall themed “Global Warming and Energy.” The hall is flled with exhibits using familiar items from everyday life to help make you more environmentally conscious. Lots of pickles and other dishes. Pickling class available. 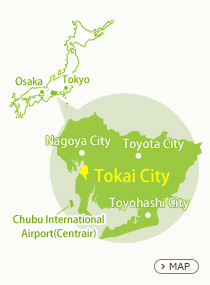 Beverages you drink everyday are produced here! 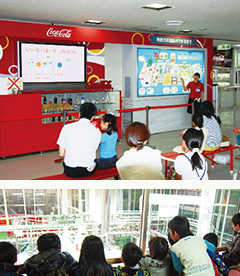 Here you can learn about the beverage production process which takes place in a very clean environment under strict quality control and learn about the environmental measures implemented by Coca Cola. This is how TV and radio programs are created! 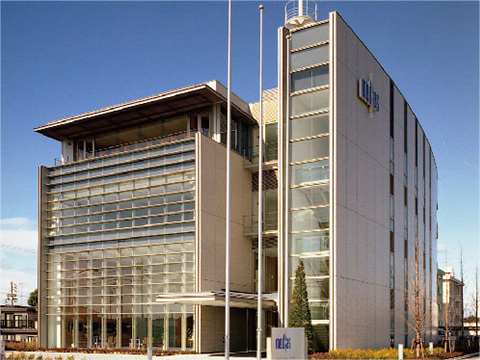 Chita Medias Network is a cable TV company producing programs closely related to the local community servicing Tokai City, Obu City, Chita City and Higashiura Town. 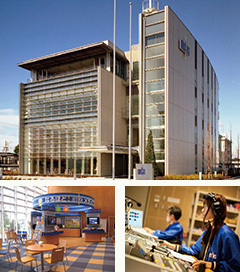 Visitors are not only able to see how the TV studio works but are also able to try their hands at announcing, switching from one camera to the next, and being DJs in the radio booth. 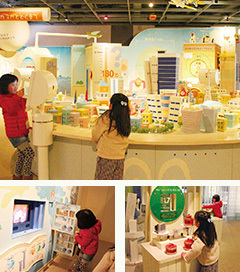 Take a look behind the scenes of everyday life. 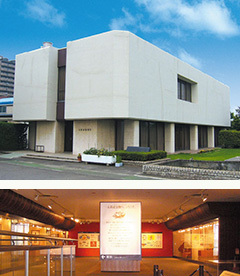 You’ll be surprised at what you find.“Exhibition room” shows the history of the company. The “Water flow demonstration court” allows you to follow “the path of waste water,” a process that normally remains unseen. 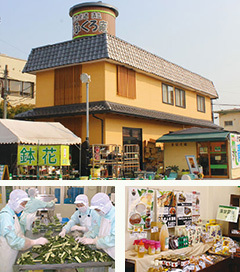 “Experience House” is a place to try the products, and there is more information on manufacturing. 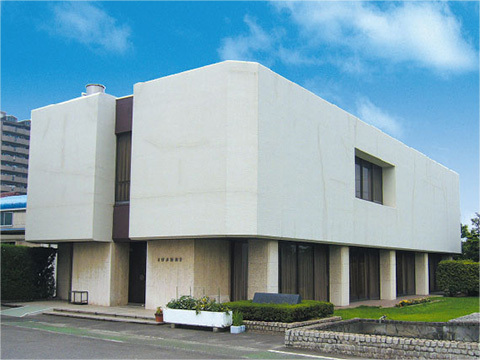 End-of-year and New Year holiday, summer and holidays when the company is closed. 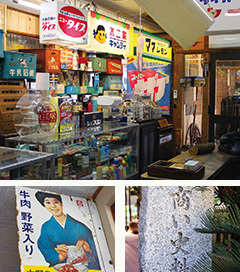 Open the door and step into the past! 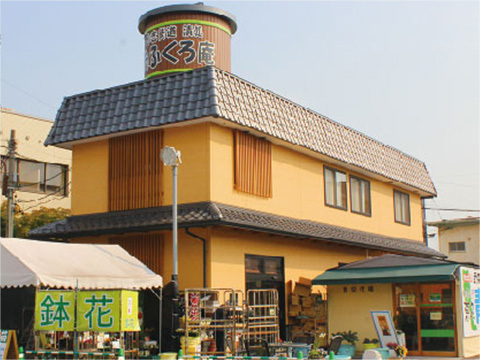 Nishimaruya began its business at Yokosuka in 1887 as a cooper and was a convenience store and supermarket business pioneer. 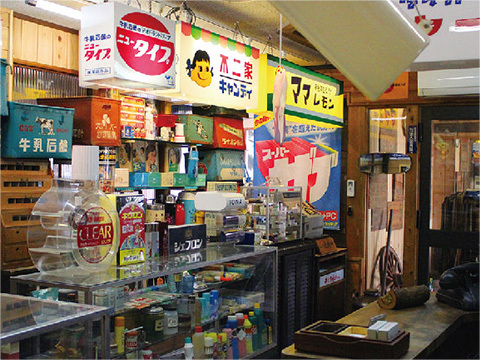 Here articles from everyday life during the good old days of the Meiji, Taisho and Showa eras are on display giving you a glimpse of the economic advancement and history of the past. 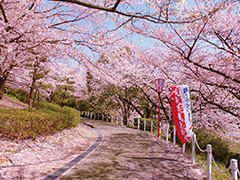 In the Oike Park, there are 1,100 cherry trees representing 7 varieties. When the trees are in bloom, the area is lit up at night. 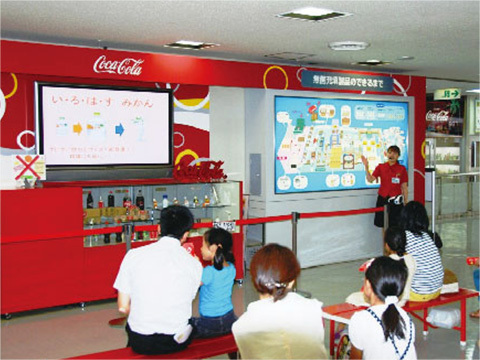 Events such as the tea ceremony conducted by the Shimin Bunka Kyokai (Citizen’s Culture Association), and joint presentations are held. 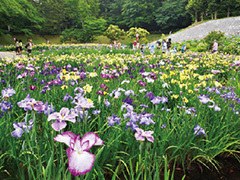 About 8,000 plants representing 128 varieties of white, purple and reddish purple irises announce the arrival of early summer. 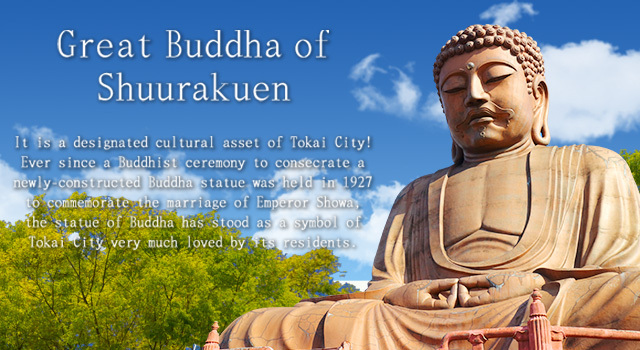 Stage events are held, and the tea ceremony is performed in the open air. every 5 minutes. Many people from both inside and outside of the city come for the event. 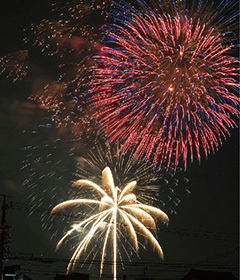 The grand mine star is the climax of the event. 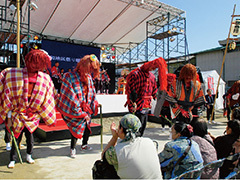 Watching the Eisa dance of Okinawa, an event held in a nearby baseball eld, is also a lot of fun! *Event content is subject to change. 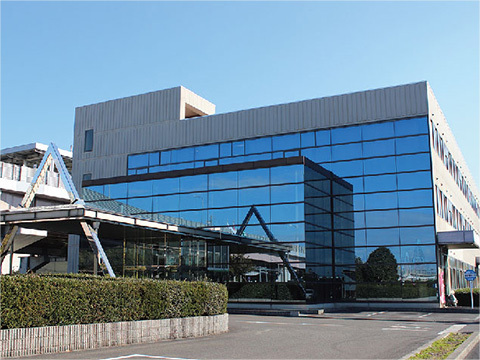 This is the satellite venue of one of the largest dance festivals in Japan staged in midsummer Nagoya. Witness these spectacular dances as the end of the summer nears. 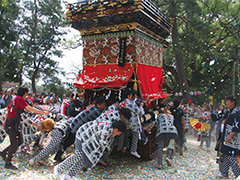 A traditional festival in the Nawa District, in which huge dolls called Shojo Metta carrying Barin (large pieces of bamboo that have been split at the bottom) are paraded through the town accompanied by festive music. 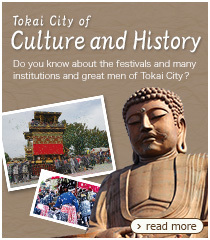 The festival is held concurrently with the annual celebration of Atago Shrine in Yokosuka-machi. 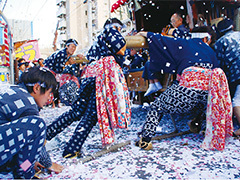 The main attraction is Donden, which is carrying the oat and spinning it around. The sight of the oat being hoisted up will take your breath away! 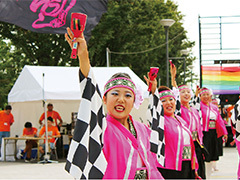 The largest event of the city with many fun items on the program, such as the Industrial Festival, Consumer Square Event, Cultural Festival, Agriculture Festival, International Day, and more. 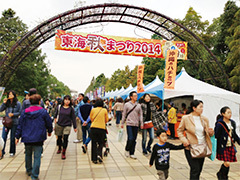 It is a 2-day event lled with autumn fun. 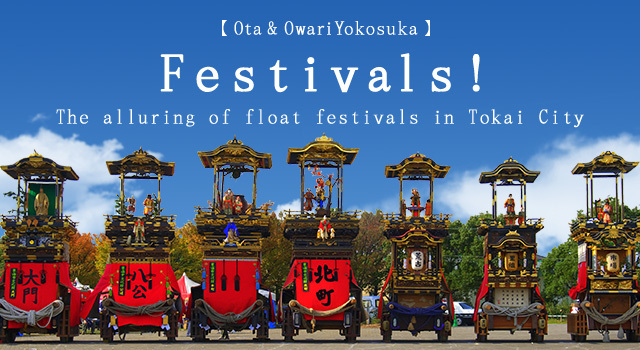 The festival is held concurrently with the annual celebration of Omiya Shrine. Four large oats dazzle the crowds with a Donden performance complete with musical accompaniment. Dances by mechanical dolls are also a must see. 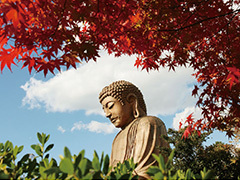 Leaves of Japanese maples and 7 varieties of large and small trees surround the Great Buddha in Shuurakuen as they turn red. 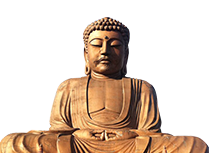 Why not stop by the Oumeian tea ceremony room, to relax and enjoy some Japanese tea? 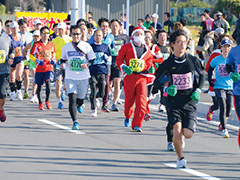 There are also several other events held during this season as well. erent theme each year. 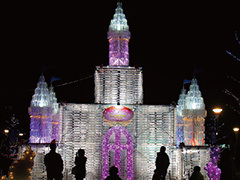 The area is alive with activity as visitors ock to take pictures in front of the romantic main monument. 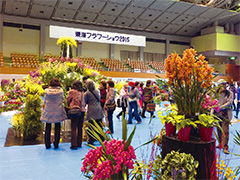 A variety of events are held during this season. e giveaways, free drinks and more. 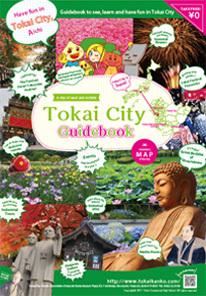 “Town of greenery and orchids.” This is a ower and greenery event uniquely representing Tokai City. This huge event features all kinds of fun items on the program including a ower contest, sale of orchids and decorative plants, gardening classes, and more.